Coca-Cola adds a new Sprite flavor with the introduction of new Sprite Cherry and Sprite Cherry Zero. As you may have guessed from the name, the two new varieties feature the fizzy lemon-lime flavor of Sprite combined with a dose of cherry flavor. The company gleaned insight from their Coca-Cola Freestyle soda fountain machines, which allow users to combine Sprite with cherry flavor (among others), to decide on the nationwide launch of the similar bottled flavor. 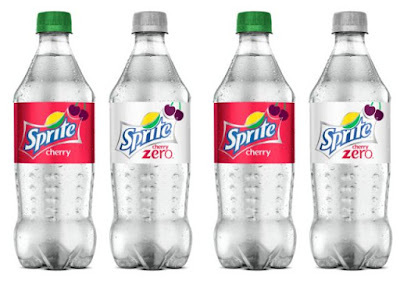 Sprite Cherry and Sprite Cherry Zero are available in 20-oz bottles nationwide at various retail outlets. If you're having problems locating a bottle, you can try your luck with their online product locator here.